Dr. Roberto A. Monti, born in Ravenna, Italy, on May 20, 1945. Graduated in General Physics on April 1, 1969, Department of Physics, Bologna University, whit Dissertation in Biophysics. From September 1, 1969 to January 15, 1972, Researcher at the Center for Macromolecular Chemistry, Department of Chemistry, Bologna University. From 1972 Researcher at the Istituto TESRE of the National Research Council in Bologna. 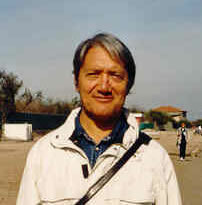 In 1984 Promoter of Andromeda Editing Society (SEA) and Scientific Director of the Review “Seagreen”. From 1993 to 1994 Research Associate of “Crystal Mountain Ltd”, Anacortes, WA, USA. From 1994 to 1998 Research Associate of Burns Developments Ltd, Vancouver, BC, Canada. From 1998 to 2003 Director of Research, Monti America Corporation, Vancouver, BC, Canada. Main Research Fields: Stereochemistry, Astrophysics, Nuclear Physics (Low Energy Nuclear Reactions). Dr. Gerardina A. Cesarano Monti, born in Pagani, Salerno, Italy on September 10, 1963. Graduated in Philosophy on June 28, 1994,University “Federico II”, Naples. where she worked on Epistemology and Philosophy of Science. From 1998 Research Assistant, Monti America Corporation, Vancouver, BC, Canada. 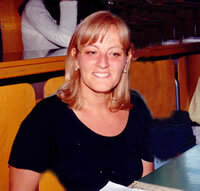 Since 2000, Laboratory Assistant of R. A. Monti.